This afternoon's view from our balcony. Its good to see the ocean once again. It’s hard to believe we’re finally aboard Royal Caribbean’s Brilliance of the Seas for a 14 day cruise from Harwich, England to Boston. Earlier today, we posted the ship’s itinerary. On our way through London to Harwich we spotted a number of popular attractions including this church. As I write this, its 3:30 pm and soon we’ll be called for the muster drill which, for those of our readers who’ve never been on a cruise, is a mandatory safety procedures drill during which names are taken to ensure each passenger has attended this drill. Several cruises ago, we missed the drill when we were told we didn’t have to attend when we were on a “back to back” cruise. The next day we were required to attend a private session for others like us who hadn’t attended. Big Ben was to the right in this shot but I had no way to get the photo in traffic. Another Ferris Wheel referred to as the "Eye." A fast shot of the Tower of London. Embarking on this cruise feels as if we’re we’re embarking on an entirely new leg of our years long journey. We’ve had an unbelievable number of experiences in these past almost two years. And, with the next two years almost completely booked, we’re looking forward to the future as well as living every moment as it comes. Not sure as to the name of this memorial as we zoomed past. The drive from the hotel in London to the pier in Harwich flew by as we chatted with our driver Tony who was delightful and charming. As soon as we met, he welcomed me with a kiss on the cheek, a common greeting in the UK. A memorial near Buckingham Palace. With WiFi restrictions, we're unable to look up the names of these monuments. Whoever said Brits are stuffy hasn’t been to the UK in awhile. They are warm and kindly people with big hearts and a great sense of humor. We loved that fact about London more than anything. At last our ship, Royal Caribbean's Brilliance of the Seas. After the party at 4:45, we’ll return to our cabin to change for dinner and mosey our way to the main dining room for what we expect will be an enjoyable evening sharing a table with six or more passengers. We always appreciate having a sofa in the cabin as opposed to lying on the bed when relaxing. Tomorrow morning at 8 am, we’re off on our first tour to Le Havre/Normandy, France for an all day excursion to see WWII Omaha Beach, Utah Beach and American Cemeteries. As mentioned earlier, we’ll post a short update with photos as soon as possible upon our return to our cabin, prior to heading for dinner. Our balcony cabin. The queen sized bed seems comfortable. Our MiFi device is working. The ship’s WiFi is working. We’ll alternate between the two sources depending upon our location; out to sea, we’ll use the ship’s WiFi; in port, we’ll use the MiFi. Unfortunately, we both had to spring for the ship’s WiFi service at US $399 each. However, we have several on board credits we can use toward the final bill which we’ll post as the cruise nears the end. A roomy safe is also appreciated. Happy Labor Day tomorrow to our family and friends in the US and thanks to all for joining us as we head out to sea for our second Transatlantic crossing, our first westward. There was no post on this date one year ago as we headed to Venice to spend the night in a hotel to prepare for the next day's very long flight to Kenya. Our usual photo post for today will be online 6 to 8 hours later than usual which will contain photos of our the ship and our cabin. If, we spot anything special on the 2.5 hour drive to the pier, we'll certainly include those photos as well. We both look forward to sharing our exciting adventures on our upcoming transatlantic cruise on Royal Caribbean's Brilliance of the Seas over 14 nights. 1. Monday: Normandy, France - American beaches and cemeteries from World War II. On these three days, we'll make every effort to post late in the day when we return with photos from the tours. On each of these three days, we'll be leaving the ship at 8 am, not returning until 6 or 7 pm with a mad rush to the dining room for dinner. In the worst case, we'll upload a short post explaining when we'll be back with full posts on each of these experiences, including photos of our upcoming tour in Iceland to see the Northern Lights. We'll be out to sea for several days and we'll have plenty of time to upload complete posts of these experiences. If for any reason, we don't have a post later today, it will be due to WiFi connectivity issues. We'll have access to both the ship's signal and XCOM Global's MiFi. Hopefully, we won't have issues with either. We look forward to sharing our experiences with you in these exciting locations. Thank you to each and every one of our readers worldwide. We always feel as if you are traveling along with us. Its a beautiful area with most of the buildings well maintained in black and white. Tomorrow morning at 10 am, the private shuttle we'd arranged long ago, picks us up from the hotel for the two and a half hour drive to Harwich, the cruise ship pier in England. Yesterday, we walked down this road toward Bobo's Bubbles to do our final two loads of laundry. It'll be wonderful to see the ocean once again after leaving Madeira a month ago. While in both Paris and London we came to the decision that no matter how appealing big cities may be to many travelers, they are not for us. We're love the country, the bush, the ocean and anywhere far from the hustle and bustle of city life. There are numerous old hotels in the Kensington area. This gave us a new perspective in our travels, that we won't want to spend a week or two in Sydney or any other big city in Australia or any other parts of the world. We're certain they are filled with much to see and do. But, that life is not for us. Plain and simple. Many street lamps and building fronts are decorated with colorful flowers. Occasionally, we spotted a brick building mixed among the white buildings. We have three big cities ahead of us soon, one in Boston on September 14th for three nights; two in Vancouver, British Columbia on September 17th for six nights; and lastly, in Waikiki/Honolulu on October 5th, Hawaii for 11 nights. Boston will be a breeze when we're busy with family, Vancouver is a relatively short stay until we board the ship to Hawaii and Waikiki...well, it is Hawaii after all. This was the shortest (height) car either of us has ever seen. I can only imagine that getting out of it would require rolling out the door onto the street and then standing up. South Kensington consists of one pretty street after another, parking always at a premium. Today, as I write here, I'll be flipping back and forth to our comprehensive Excel workbook to finalize our expenses for the 15 nights in London. As we share these expenses, one may assume these totals are realistic for any traveler to London, on a budget. Tom's haircut was only US $16.60, 10 pounds including the tip. Not bad. When we stopped at the market for a few items Tom decided on a haircut before the cruise. 1. We only eat once a day due to our commitment to intermittent fasting for our health (two meals per day while on cruises). A typical tourist dines in restaurants two to three meals each day, as we would have in years past. Please take that into consideration when reviewing the totals. Also, we don't order starters or desserts which I can't have, and Tom doesn't want, never liking the available options. 2. Another factor in regard to restaurant dining: Tom ordered one beer on four separate occasions. Since I don't drink alcohol I usually have tap water (when its safe to drink) such as in London and Paris. By not adding cocktails and other beverages to our restaurant bill, we're usually saving as much, if not more, than 40% on the bill. Tom rarely drinks alcohol when we're dining in making this no sacrifice to him. On the cruises, he'll enjoy cocktails at the table during dinners (at an additional cost). 3. No extra charges were added to the hotel bill: In the case at the Regency Hotel, Queen's Gate, they've waived our entire WiFi bill upon my request this morning based on the daily issues getting online. We don't order room service, have spa treatments, order cocktails, coffee or tea. We use the complimentary coffee and tea in the room. 4. We save money by walking as opposed to taking taxis when the distances are manageable, using public transportation when possible. 5. Keeping the cost of sightseeing and tours expenses to the budgeted amount. 6. We're willing to pay a little more for better hotels with at least a four star rating which are in good neighborhoods, such as in South Kensington. The hotel becomes our "home" for a period of time with comfort and convenience most important to us. The street corner where last night's restaurant is located. In London, there are no large trash bins for residents in which to place their garbage. Instead, they put the bags on the sidewalk or street where they're picked up a few times a week from what we've seen. In this particular case, we're under budget by 7%. Having a budget helps us to curtail spending. Although, we frequently commented as to how expensive dining out is in London, the only reason our daily average was this low was due to the facts above; no beverages, no starters and no desserts. Last night, we tried a new restaurant, Wildwood several blocks from our hotel. Wildwood had a comfortable ambiance but, the food and service was mediocre. Without a doubt, once we're on the two upcoming cruises, we'll be having breakfast and Tom will order starters and desserts (few starters will work for me). After all, our meals with multiple courses are included in the cost of the cruises (the actual costs hidden from our view). We're free to dine as we so choose, (cocktails are extra), although we'll only do so twice a day, breakfast and dinner. Tom order Beef Bolognaise which he said was good. I ordered this chicken Caesar salad, minus crouton adding avocado. The chicken was fatty, poorly trimmed and hard to cut. Had it contained boneless, skinless chicken breasts this would have been a great salad. Now that our laundry is done at US $33, 20 pounds, to wash and dry two loads, we'll be packing our bags as soon as we're done posting. We've reconfirmed with our driver for tomorrow's 10 am pickup. Our hotel bill is completed. Tonight we'll dine at Byron, one last time (included tonight's dinner in totals above). Sunday's post with new and exciting photos will be available late in the day after we're checked in and we're situated on the cruise. And tomorrow, we'll be on our way. Once again. This pile contained all the clothing I owned one year ago. Now, the pile is one half this size. This photo was on the last few days we were in Italy preparing to depart on September 1, 2013 for Kenya. For details from that date, please click here. This is a Pangolin, one of the most elusive animals on the planet, seen by very few. Perhaps, someday when we return to Africa, we'll have a chance to see one. These animals are poached for their scales believed by certain cultures in Asia to have medicinal properties which, after intense scientific research, do not provide any benefit to health. And yet poachers kill these interesting animals in the anteater family for profits, comparable to the senseless slaughter of rhinos and elephants for their tusks. Its heartbreaking. Soon, they too, will become extinct. When we first began planning our worldwide travels, we flinched over the cost of rental cars with all of the pumped up fees, charges and taxes. At the time, we anticipated it would feel weird not owning a car. Now, its second nature. The Dodo bird, extinct for over 350 years. Sadly, what's next? 1. Is taxi fare reasonably priced and is it readily available making renting a car unneccesary? 2. Will we feel trapped in a remote location without a car? 3. Are there many places we'd like to visit in a specific area making a rental car worthwhile? 4. Is the car large enough to fit our four suitcases, one duffel bag, one rolling cart, one laptop bag and handbag? 5. How safe is driving (in regard to crime, not road conditions) in a specific country? This is the largest seed in the world from the Seychelles in the Indian Ocean. For example, in Kenya, is was safer to travel in affordable taxis than it was to drive on our own with the high rate of carjacking and theft than in many other parts of the world. We saw live insects of this size while in Africa. In Belize, we used taxis. On an occasion, we rented a golf cart for week, taking taxis the remainder of the time. The cost of a rental car for 30 days was more than US $3000,, 1809 pounds per month. The cost of a taxi to a grocery store or restaurant was US $5, 3 pounds each way. It was a no brainer for the two and a half months we spent in Placencia. Over 100 scientists work full time at London's Natural History Museum. In Morocco, we could walk to most locations. The grocery shopping and cooking were done by Madame Zahra (I think of her often) and the few times we dined outside of the Medina and the souks, the cab fare was fairlyreasonable. Plus, there was no available parking where we lived in the souk. A scientist at work in the research area of the museum. What a fascinating field. In the remote Tuscan location of Boveglio, Italy we had no choice but to rent a car for the two and a half months we spent in the mountains. In the Charles Darwin wing of the Natural History Museum, there were many interesting displays of insects, butterflies and small creatures. Of course, in South Africa, we had a rental car for a month and then Okee Dokee driving us everywhere for the remaining two months. No rental car could possibility replace the pleasure and laughter of riding with her day after day. Photos through the glass are less vivid. In that particular case, we chose to forgo the rental car simply due to the fact that we loved being with Okee Dokee, constantly laughing as we bounced around on the bumpy roads in Marloth Park. It was an emotional decision when none of the above points fell into play. After many car rental experiences, we'd yet to book rental cars for three of the four islands on which we'll be living in Hawaii over a total period of seven months. This is an actual bee and its size as shown. Excluding the necessity of a car in Waikiki (Honolulu) for the first 11 days when everything is within walking distance, we knew we'd need cars in Maui for six weeks, the Big Island for six plus weeks and Kauai for four months. Insect displays in the Charles Darwin research area of the museum. Having budgeted for each of the three islands where we'll need a rental car, both of us were worried that the actual cost would far exceed the amounts we budgeted. Yesterday, we finalized the bookings for each of the three islands, expecting the cost to average at approximately US $2000, 1206 pounds a month. Hawaii is often considered one of the most expensive places to visit in the world when everything other than the fruits and nuts grown in the islands, must be imported as is the case on other islands throughout the world. (over a period of120 days at US $46, 28 pounds, per day). There were numerous paintings of animals from artists throughout the world. We're thrilled with these prices, expecting to spend thousands more and relieved to have this piece out of the way at long last. Our flights between the four islands are the only items we've yet to book for Hawaii. With frequent flights between islands each day, we can easily wait to book the flights a month before departure in each case. Had it been 10 months from now, when we'll be in Australia, we'd already have seen kangaroos! We can hardly wait! As soon as we upload today's post, we'll be heading out for our final trip to Bobo's Bubbles to do the laundry. It will be a full two weeks until we can do our laundry again in Boston. In Madeira, I purchased what appears to be a bar of soap which in fact is a bar of laundry soap, used for hand washing. Surely, that will come in handy on the two cruises in September. Here again, in 10 months when we'll be in Australia, we hope to see koala bears. Last night, we returned to Byron, a burger restaurant we've found to be good with reasonable portions. Although, its was over US $50, 30 pounds for a burger and fries for Tom and a salad for me, the salad portion is ample leaving me feeling as if I've actually had a meal. This is a Genet which we saw in South Africa in the bush. When we see the price for a burger and fries is US $25, 15 pound, and a Cobb salad is also at US $25, 15 pounds, one can easily understand why we're "chomping at the bit" to get on board the cruise and dine at our leisure without the added expense of having eaten out every meal for a month. The fossils from prehistoric times were interesting. But, we expected these as shown above were also manmade. Its hard to believe we're only two days from sail day. In many ways, it seems as if those past eight cruises were so long ago when the last cruise ended on June 16, 2013. Here we go, another transatlantic crossing. How exciting! In a way, it left us cold, seeing the manmade animals when we'd seen so many in the wild. Have a lovely weekend as summer winds down in the northern hemisphere and winter winds cranks up in the southern hemisphere. The museum itself was worthy of note in its exquisite design. As we busied ourselves getting ready to depart for Kenya and with ongoing WiFi issues in Boveglio Italy, we didn't post on this date. However, we did post of the following date. Please check back tomorrow. Various fern like marine life. We're done sightseeing in London. With the crowds, the daily rain, the waiting in queues ("lines" per British speak), we've basically made a decision to stop. Yes, we're here and yes, we could easily get to other points of interest. However, as we've often mentioned, we do exactly that which "trips our trigger" and fits our budget, as opposed to doing that which might be "expected" of a traveler in a big city. That's the nature of our lives. That's why we're happily living life as we choose. There's a price to pay for living life on our terms. We gladly pay it. We pay it in the knowledge that others may be annoyed or disgruntled by our choices. Where are the photos of Buckingham Palace, the Tower of London, and on and on? We never intend to disappoint. 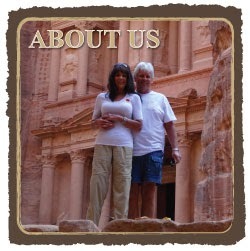 But, the difference in our travel writing as opposed to what others may write, is simple, we tell it like it is. This life we live is no honeymoon or two week vacation. This is our day to day lives and the greatest joy we find is when we're living it on our terms. With two cruises and several small group (8 to 10 travelers) tours scheduled, we'll have many exciting photos to share in the next few weeks on the first cruise, including Normandy, Stonehenge, Cork, Ireland (Blarney Castle), Klaksvik, Faroe Islands, and Reykjavik, Iceland. Our readers will be bombarded with photos. Sit tight, dear followers. More will come. We'd seen a few of these snakes on the road in Africa and one on our veranda in South Africa, the Mozambique Spitting Cobra. As for London, we're done spending money other than for the three remaining dinners and the long drive to Harwich to the pier. The cost of everything is at least 70% more than one would expect to pay. With our family coming to Hawaii for Christmas (14 arriving in December), the cost of two houses, airfare, food and incidentals we need to continue to carefully monitor our budget. Months ago, we paid for all of the above upcoming tours, the cruises, the hotel in Boston, the flight and hotel in Vancouver. We've prepaid in full, the first two months in Hawaii, on Oahu and Maui and also the four months on the island of Kauai. Fish from lakes and streams. Soon, we'll pay the balances on the two houses on the Big Island and the more substantial chunks will be out of the way though May 15, 2015. But, the small stuff when traveling can cut deep into one's planned budget if not careful. This is referred to as a Football Fish. Are we hypocrites when we don't like crowds and yet we love cruising? I suppose we may appear to be. Sunday's upcoming cruise holds 2501 passengers. More fish from rivers, lakes and streams. How do we tolerate those crowds? We avoid lines. We find cozy quiet spots where we feel as if we're in our own little world. If the theatre at night is booked at the 8 pm show, we'll choose the 10 pm show. Fish found in the ocean. After eight cruises in the past 2o months, we feel we have it fairly well figured out. We love the sea, the making new friends dinners for eight, the gentle rocking of the ship. We even found the storm at sea on the Norwegian Epic commencing on April 20, 2013, to be an adventure. We wandered about the ship for those three stormy days with nary a moment of seasickness with swells as high as 50 feet, 15.24 meters, when many passengers and crew were hunkered down in their cabins for days. We loved it all. A Lizard that puffs up the frill around the neck to scare off predators. This could be intimidating to say the least. In essence, we may contradict ourselves at times. We can avoid a 300 person deep line at a venue and then stand in line 300 deep line to get off the ship for a tour. All of us love what we love whether its the award winning rose in full bloom or the lowly dandelion spewing pollen into the air. One may not be connected to the other. Yesterday, we embarked on our final sightseeing stint by visiting London's Natural History Museum. Having avoided hour(s) long queues both mornings or midday, we chose to enter around 4 pm. There was no line at all although fairly crowded inside. Komodo Dragons are found on the Indonesian islands of Komodo, Rinca and Flores. We'll be spending four months in Bali, Indonesia in 2016, where tourists have spotted Komodo Dragons on occasion. Komodo Dragons are of the species of Monitor Lizards, two of which lived in our yard in Marloth Park, South Africa. Please see this link to see our photos when they made a rare appearance by the pool. Little did we think how odd it would be for us to see animals in either a state of taxidermy or man-made to look lifelike. Having seen most of today's live animals while on safari in Kenya or surrounding our home in Marloth Park, seeing them in these lifelike forms held little interest to us, except when we spotted a Warthog. We took many photos focusing on the thousands of replications of the live animals that we've yet to encounter in our travels. For those that may never see a live lion other than in a zoo, this museum and those like it are an alternative. After our two hour tour of the museum, we wandered off to try a new restaurant, the popular Polish restaurant, Daquise. My portion of meat consisted of five tiny bites with a side of green beans and a few boiled vegetables. We saw a smaller version of similar crabs at the beach in Kenya which is on the eastern coast in Africa. They moved so quickly, we couldn't get a photo. Tom's dinner of veal schnitzel with mashed potatoes, glazed carrots and bread was satisfactory for him. Had I been able to have starch and gluten, I would have enjoyed the food. Many of us lobster enthusiasts would appreciate a lobster of this size on a platter. The staffed was stumped as to what would work for me so I chose the meal they suggested based on a recommendation by their chef. We'll write a positive review on TripAdvisor later today. Our dinner with tax and gratuity, without beverages, sides or desserts was a total of US $66, 40 pounds. After many visits by Zebras in our yard in South Africa, seeing this lifelike rendition made me miss them. Click this link to see Zebras that visited us in South Africa. Today, we'll be working on financial matters, booking vehicles for Hawaii and taking a walk later in the day if its not raining. Some of the displays of Rhino were taxidermy. There was a sign stating that the horns had been removed and replaced with man made materials. We saw Rhinos in the wild in Kenya. Please click here for a few of our Rhino photos from Kenya. Tomorrow, we'll share the balance of the museum photos and take the long hike to do our final loads of laundry. This is actual fossil of the boar as shown. On Saturday, we'll wrap up our total expenses for London sharing the details and breakdown of the costs for the 15 nights we spent in this fine area of South Kensington, London. We weren't certain if this is actual fossils or a man made representation. On Sunday, departure day, we'll post later in the day after we arrive on the ship sharing photos from our 2 1/2 hour drive through the English countryside along with the ship's boarding process including photos of the ship and our cabin. These Elephant tusks are the real deal. Each time we board a ship early in the day, most often the cabins aren't immediately available. Usually, there's a few hour wait. As is the case with most passengers waiting to gain access to their cabin, everyone heads to the restaurant for a late lunch, the first inclusive meal. Ah, my heart did a flip flop when Tom spotted this warthog. The first time either of us had ever seen a warthog was last October in the Masai Mara, Kenya while on safari. Of course, later in South Africa, we joyfully saw them each day. Click here for the first time we saw a live warthog (scroll down the page). It is during this period, that I'll upload and prepare Saturday's post with photos (barring any WiFi issues), which most likely will be available approximately five hours later than usual. The view from our table last night at Daquise. The pleasant place setting at Daquise. Tom's Veal Schnitzel topped with an egg, mashed potatoes and glazed carrots. he didn't eat the egg. He doesn't eat egg and meat together unless its bacon or sausage. He has lots of "food rules." Those thin pieces of beef hardly filled me up. The cream sauce was made without flour. On this date a year ago, as we busily prepared to further lighten our load, we packed and made a pizza for ease of eating leftovers on the remaining nights, which we now find easy to do at the end of a two or three month stay in a vacation home. Also, I wrote about the benefits of eating nuts in moderation. While in Paris and London, with the small portions at restaurants, nuts have been a much needed life saver for me when I've been hungry after a tiny meal. No photos were posted on that date. Instead I posted this nutritional chart on various types of nuts. For more on the story, please click here.